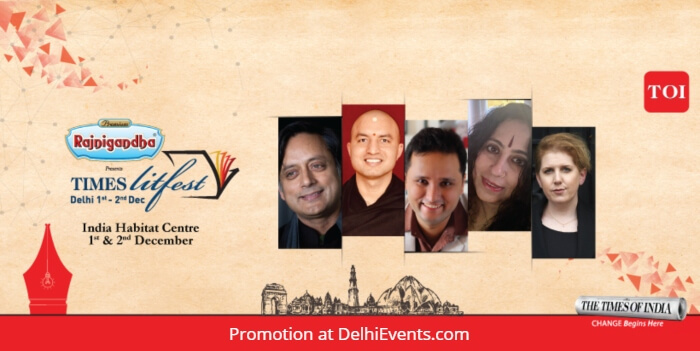 Event Description : LITERARY FEST : Times Literature Festival 2018 - Delhi’s own literary festival, a festival of ideas that brings together thinkers, political minds and bestselling authors. Mandala Installations – The art form of mandala represents the connection between our inner worlds and outer reality. Bring One, Take One- A unique activity to promote reading among Delhi-ites will be executed. Arrange workshop for new writers. You can organise 15mt. competition also.